The 29th ANEC General Assembly meeting was held on 5-6 June at the EU Berlaymont Hotel in Brussels and saw participation of members from 28 countries. The ANEC President and Secretary-General gave an overview of strategic and political developments over the past 12 months, while members heard from the ANEC Programme Managers on sectoral issues. External speakers included Pinuccia Contino, Head of Unit, Product Safety & Rapid Alert System, DG JUST; Brit Helle, Director, Goods Division, EFTA, and Ashok Ganesh, Director, Market Perspectives & Innovation, CEN-CENELEC. The General Assembly meeting welcomed the ANEC Annual Review 2017. It aims to show how we use our resources in seeking higher standards of consumer protection and welfare. In executing the ANEC Work Programme 2017, we brought together 66 experts who participated in 294 meetings at the European and International levels in the collective European consumer interest. We also submitted almost 450 comments on draft standards. Further highlights and achievements can be found here. On 7 June, ANEC, represented by President Arnold Pindar and Secretary-General Stephen Russell, attended the first high-level Interinstitutional Dialogue. It invited representatives of the EU institutions and key stakeholders to assess the operational and political landscapes of European standardisation, especially in light of 2016’s “Standardisation Package II”. ANEC stressed that industry may be the developer of standards, but it is not necessarily the beneficiary. We recalled the importance of Regulation 1025/2012 in allowing the collective voices of consumers and other societal stakeholders to be heard in the European Standardisation System (ESS). Instead of seeing a standard as “for industry” or “for society”, we suggested the ideal standard is one that simultaneously meets the needs and expectations of all stakeholders. Indeed, we believe the inclusive nature of the ESS, as shaped by Regulation 1025, should allow for a partnership between the demand and supply-sides of the market that places European business ahead of the curve in setting standards for a smart, innovative & sustainable future. Read more in the ANEC position on the draft Annual Union Work Programme for European Standardisation 2019. On 29 May, the European Commission hosted a meeting between ISO & IEC on one side, and ANEC and its peer Annex III Organisations (ECOS, ETUC, SBS) on the other. The aim was an operational assessment of the development and revision of European Standards in ISO/IEC, and the participation of the Annex III Organisations in ISO/IEC technical bodies, noting the provisions of Regulation (EU) 1025/2012 on inclusiveness of the standardisation process. ANEC Secretary-General, Stephen Russell, welcomed the opportunity to reinforce the dialogue between the representatives of under-represented stakeholders in Europe, and the two main International Standardisation Organisations. President Arnold Pindar, represented ANEC in a series of meetings during the 40th session of the ISO Consumer Policy Committee (COPOLCO) held in Bali, Indonesia from 6 to 11 May. The meetings were hosted by BSN, the National Standardization Agency of Indonesia. Mr Pindar contributed to a special session of the Chair’s Advisory Group, on alignment of the new ISO Strategy to the expectations of consumers at the international, regional and national levels, drawing on the experiences of ANEC in implementation of its present strategy. He spoke to the plenary about the effects on inclusiveness of the European Standardisation System brought about by Regulation (EU) 1025/2012. Members were especially keen to hear about the “Right of Opinion” introduced for European Societal Stakeholder Organisations in CEN-CENELEC, and its value to ANEC. The plenary took further Resolution this year to support ANEC in its work to remove the “exclusion clause” from the IEC 60335-2 series of standards for domestic electrical appliances. Mr Pindar also spoke about developments in European privacy and data protection – including the GDPR – during the COPOLCO workshop, “Consumer protection in the digital economy”. ANEC presented the consumer view at the “Future Proof IoT Security and Privacy - Challenges and Opportunities” panel at the ETSI Security Week in Sophia Antipolis. Chiara Giovannini, ANEC Senior Manager, emphasised that to trust connected appliances, consumers must be assured they are secure and protected. Security by design and default needs to become a priority for manufacturers. These are the tools needed to protect consumers, especially vulnerable consumers. Chiara was joined by the infamous “spying doll” Cayla, who represents how cybersecurity threats can appear in everyday products. Cayla records everything around her without any security safeguards. More about Cayla. Don't play with children's safety! 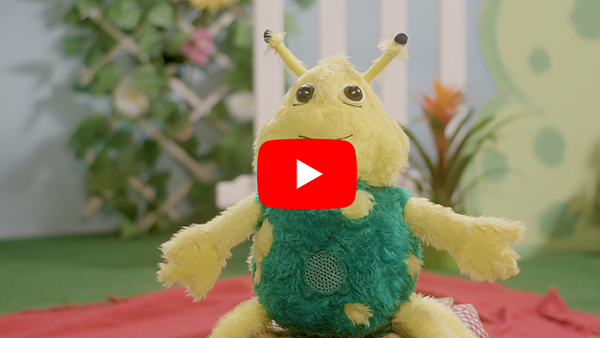 Inspired by Cayla and similar “spying toys’, #Huggybug may look innocent but his webcam can be controlled by strangers. See the video from our colleagues in Consumers International (CI). In parallel with actions ANEC and BEUC are taking at European level, CI is calling on the G20 countries to improve the security and data protection of connected products and services over the next year, especially those aimed at children. You can help by supporting the CI call for #SecureToys and by sharing the video. Certifying against risk – myth or reality? ANEC had a further opportunity to present the consumer view on cybersecurity legislation and standardisation at the International Federation of Inspection Agencies (IFIA) panel discussion, "Cybersecurity: certifying against risk myth or reality?". ANEC Senior Manager, Chiara Giovannini, noted that ANEC welcomes the Commission’s proposed Cybersecurity Act and the strengthened role of ENISA (European Union Agency for Network and Information Security) in cybersecurity. However, the establishment of binding minimum requirements for security before products are placed on the market is necessary. We hope this will be in the final position of the European Parliament. You can find our recommendations in the joint position on the Cybersecurity Act, prepared with BEUC. ANEC helped draft the European Consumer Consultative Group (ECCG) opinion on Artificial Intelligence, which was quoted in the European Commission Communication on Artificial Intelligence for Europe. From the consumer view, Algorithmic Decision Making (ADM) - de facto automated decision-making based on big data - is of particular interest and concern as the number of affected consumers could be high. It is therefore essential that the European regulatory framework of consumer protection is able to meet the challenges posed not only by connected devices, but also by automated decision-making. prEN 301 549 v.2.1.1 'Accessibility requirements for ICT products and services' is a draft candidate Harmonised Standard prepared by the CEN/CENELEC/ETSI JWG ‘eAccessibility’ and ETSI TC Human Factors. It is intended to provide presumption of conformity to the Directive on the accessibility of the websites & mobile applications of public sector bodies (“Web Accessibility Directive”, Directive 2016/2102). ANEC experts participated in drafting the standard, and it has our support. Unfortunately, a first Enquiry failed in May (due to need to align with W3C WACG 2.1). A second Enquiry is to start soon. The ANEC Services WG and ANEC Accessibility WG continue to work in the area of Accessible Tourism. ISO/TC228/WG14 is preparing an International Standard which will propose procedures and guidelines for destination management and planning of tourist activities. Further to this, it will provide both requirements and recommendations on key areas of policy, strategies, and the specific characteristics of services, products and infrastructure, to ensure accessible tourism for all. It is important the standard provides very clear requirements and criteria on accessibility. We fear functional requirements may prove too vague an approach and lessen the attractiveness of the standard to the tourism industry. We are also concerned the industry wants to limit the scope of the standard to new buildings only. We will continue to press for the most inclusive standard possible. Earlier this year, the European Commission published its proposal for a revised Drinking Water Directive (DWD). Our response is here. Although the proposal seeks improvement in the parameters covered and the related thresholds, gaps. remain Moreover, despite consultations showing the need to address "emerging" pollutants or contaminants, only a few substances have been added. The Chair of the ANEC Sustainability WG, Franz Fiala, put forward these concerns at an event on the DWD revision hosted by the EP Intergroup “Climate Change, Biodiversity, and Sustainable Development”, on 16 May 2018. In parallel, the report of Michel Dantin MEP on the revision of DWD was published and is available here. We welcome it as it reflects many of our recommendations. The next step is an exchange of views in the EP ENVI committee on the Danti report. Following this, ENVI will draft its own report to which we will contribute. On May 31, the European Parliament adopted an own initiative report on the implementation of the Ecodesign Directive. The report from Frédérique Ries MEP includes all ANEC recommendations to improve the Directive, such as the need to extend the scope to more consumer products like smartphones. Furthermore, it flags the necessity to systematically look into the durability, reparability, recyclability and upgradability of products, as well as to restrict the use of hazardous substances when designing products. Although the report is not legally binding, it has important political value. The final report is not yet available, but we will share it once online. On 29-30 May, the ANEC Traffic & Mobility WG met in Brussels for its annual meeting. It discussed regulations and standards work related to vehicles, bicycles, vehicle emissions, intelligent transport and safety of vulnerable road users. The Chair of the ANEC Digital Society WG joined the meeting remotely to present topics of common interest to both WGs (such as the Internet of Things, connected vehicles and data protection). Our thanks to Test-Achats for hosting the meeting. On 17 May, the European Commission released its long-awaited Third Mobility Package. It includes an outline of the road safety strategy for the decade to 2030, such as new safety standards for vehicles; new rules on road infrastructure safety management; new targets to reduce deaths and serious injuries, and addressing automated driving. We welcomed the proposal for new safety standards in a press release. These could prevent 25.000 deaths within 15 years. The EC deadline for stakeholder views on this initiative is 17 July. ANEC is currently preparing a reply.